Super service..... excellent customer service at a great price. What else is there to say? Professional, organized business which provides their service as contracted. Dustin did a thorough and complete job. He was on time and very professional. Excellent service , service tech is the best. Excellent service and follow up. Fair pricing. Garrett was a super salesman. great team working in the Calabash NC area. Excellent work in replacing the vapor barrier. Arrives on time. Completes a thorough yearly inspection. Very satisfied with their work. Very friendly, professional,and takes their time to get the job done right. 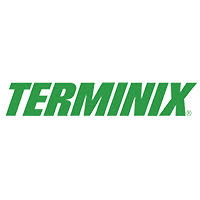 The Terminix representative was polite and respectful and explained everything to us. Colin serviced our house on June 1, 2018 and did an excellent job! He was professional, accurate, and very polite. He answered all our questions and provided helpful suggestions on prevention of bugs. Because of Colin"s demeanor we will definitely keep our service!! Plus, the bugs are gone. Thank you!! well pleased with service and profesionalism of Derik Civilla. Pease check my crawl space for moisture! Ryan is the coolest. I was limited with time, but he explained the process and answered my questions quickly and efficiently. Very happy with him and the service. Even is great! Always thorough and very nice to work with. I am very pleased with the service and the attention I have been given by your employees. They have been extremely pleasant and have explained everything I needed to know. Thank you. Friendly technicians. On time. Thourough service with warranty. We have had your service since 2012 and we have had no termite problems. This is all we ask for. Thank you. The young man that came last week did an excellent job I hope that he will be the one coming from now on. I don't like a different person coming every time. I had a powderpost beetle infestation and Rick DellaPia sought a solution and now I have no more problem. Finally, a man of his word! Rick DellaPia is such a man. If someone doesn't finish the job the way it should be Rick will show up and finish the job correctly. Thank you, Rick. Dennis Lary. Thanks to Garrick Avrre, Johnny LaChance and Lori Spralding and the guy who stepped min when the regular technician called in sick for a team effort to get this job completed. they went beyond their regular job requirements to provide excellent service. Our service person is very professional and thorough. I see other Terminex use Sentricon for Termite Protection. Do you use this at the coast ? Professional, courteous. Took the time to explain the plan and process. Made me feel good about my decision to call Terminix instead of one of the small companies. Yes, working with Terminix from initial phone contact to services reliably provided for by Ryan is positive and satisfactory. Thank you. Relatively new customer but very satisfied with service. In the last nine months I have found only one live roach in my home. The new tech Colin was great. He explained everything and was very personable. Great service. Easy to schedule service. No more bugs. Reminders when service is due. Phone reminder of scheduled time. Additional service if there is a problem. So far great! Thanks. Excellent Tech. Was sent to our home very thorough. Thank you 😊.